Vampire Costume By: California Costume Collection for the 2015 Costume season. 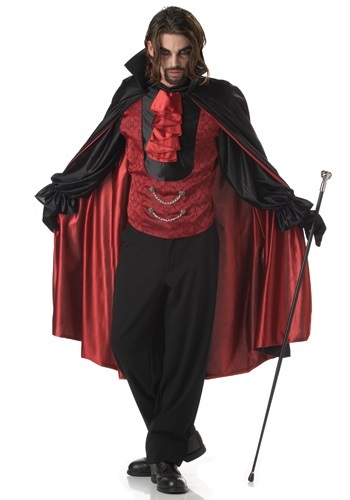 Sweep the women off their feet and steal their blood in this dashing, romantic Vampire Costume! Wear it with your own black pants, or buy ours, and add accessories such as vampire fangs and a walking stick. You'll look fang-tastic! Slip your leading lady into our Deluxe Vampira Costume or any of our female vampire costumes for a great couples costume!